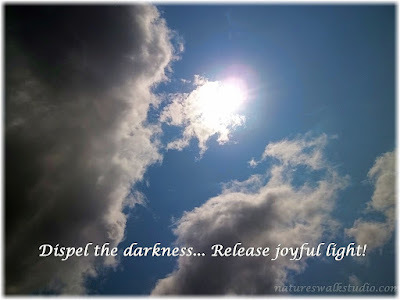 My intention expanded itself... "Dispel the darkness. Release joyful light!" v. To rid one's mind of: managed to dispel my doubts. v. To drive away or off by or as if by scattering. The official retreat begins tomorrow on the Winter Solstice. I shall end the year by releasing what was before and moving forward with intent.